As an alternative investment class, an intelligent, well-designed and executed film fund can contribute significantly to the value of any portfolio. This may sound somewhat surprising given that film investments are often maligned as excessively speculative; however, the truth is that when approached correctly the business of creating film entertainment is a proven and lucrative enterprise. In a recent New York Times survey of 1536 films across all genres between 2003 and 2012, the average gross theatrical ROI, not counting secondary markets or other revenue streams, was 452%. Again, that return only takes into account box-office revenues. This is one example why, when managed properly, the business of film can be a very good business in which to invest. And, there are many ways to approach motion picture investment. This article will focus on revealing essential components that should comprise an ideal film fund venture. 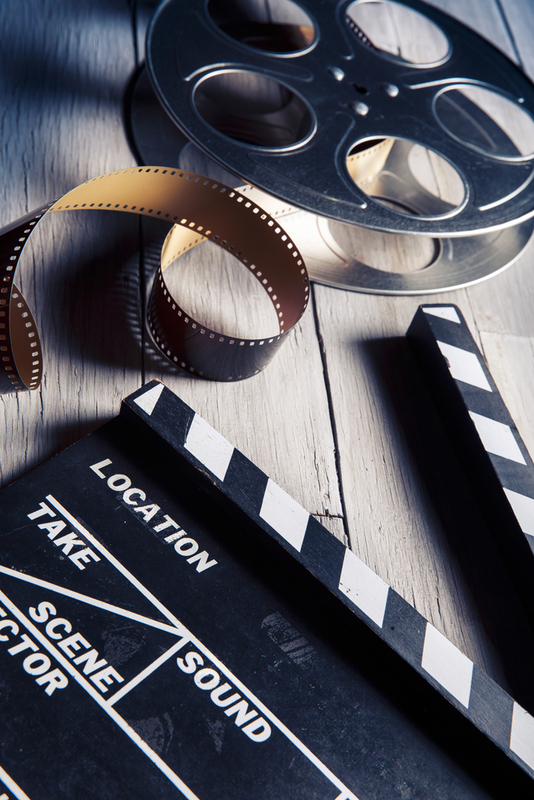 Because film funds are often created to produce a slate (several or more) motion pictures, their very structure is assumed to offer inherent risk mitigation from the diversification of the motion pictures in the fund. On the simplest level the traditional thinking works as follows. Let’s say for example – in a film fund with a five picture slate – that three films fail, one breaks even, and another has great box office success; in this model a strong ROI can still be realized. However, any mitigation perceived as derived from an “apparent” diversification can be very deceiving. Diversification only works to an investor’s advantage if each film asset within the fund was selected for production based on a set of strategic guiding principles. In turn, the film productions that the investment committee considers must also be sourced, vetted and presented in accordance with an agreed upon set of conditions necessary for submission. These conditions should at the very least set forth mandatory requirements that projects must have high quality scripts, international market appeal, ancillary market (transmedia) potential, bankable leads, as well as the ability to attract a minimum of two audience quadrants. Conditional requisites like these deliver yet another layer of protection for the investor. Right from the start the ideal film fund will have in place a mechanism which demonstrates that a reasonable assurance for the full protection of principal can be achieved – regardless of the performance of the fund slate. One way this can be accomplished is if the funds raised are first converted to a principal protected note (PPN), not unlike a CD. Such a PPN would ideally be issued from a reputable bank (preferably one of the world’s top five banks) and it would mature in seven years. Then, let’s make it so that the PPN”s performance is linked to an existing index fund with a historic strong rate of return. Let’s say that the minimum per year compounded average rate of return is 6%. And for purposes of this example, let’s assume that the total principal invested is $100 million. In seven years that note will generate over $50 million in interest. So, from the beginning we are reasonably assured that we have mitigated 50% of the risk to the principal. The next step is working with the same bank to leverage the note as collateral for a non-recourse loan to the film fund entity. In this example we’ll assume a 78% LTV, or $78 million. (Admittedly, this is a high LTV for collateralization, however, at least one such program does actually exist.) Now the fund has $78 million to work with; while the PPN still generates a return on the original $100 million invested. Let’s also assume that the bank fee for the loan is 7% against the principal. The liquid value of the PPN therefore becomes $15 million; however, again, it will continue to earn interest on $100 million. What that means is that at the end of seven years, if the loan is not repaid, the return to the investors would be $65 million ($15 million plus $50 million in interest earned). The good news is that before any film has been made, an actual, total strategic mitigation of 65% of the risk to the principal is achieved from the outset. However, that still leaves a total of $35 million, or 35%, of the principal that must be recouped in order to assure full return of the original $100 million upon maturity of the note. A further assurance for the protection of principal is accomplished through a strict adherence to conditional requisites within the fund itself. Among those conditional investment requisites will be fulfilling mandatory benchmarks for location incentives, domestic minimum guarantees, international pre-sales, and a rebate of most or all of the production budget contingency, which is always set-aside for each film produced. In total the fund will be designed to hit comprehensive financial mitigation benchmarks that return more than the 35% of the principal still at risk. What’s more, this level of mitigation is further accelerated, since these additional monies are added to the PPN, and therefore generate the same 6% compounded per annum interest. In our ideal fund, unless a prospective film package can demonstrate a reasonable assurance of reaching the mitigation benchmarks designed to fill the remaining 35% gap, the individual film project will not be green-lit. As indicated earlier, those who make that decision are part of an internal investment review committee with members who are accomplished veterans in the areas of film production, distribution, finance, as well as fund management. These members can be comprised from a wide range of professional backgrounds within those disciplines, and they can include, but are not limited to, established motion picture producers, film fund management experts, production executives, reputable sales agents and international distributors. Now that we’ve determined how to provide a strong assurance of principal protection regardless of the performance of the slate, let’s consider how our ideal film fund’s strategy can determine profitability. As mentioned, the traditional approach has been one that has relied heavily on the diversification of the slate; which has often lulled investors into a false sense of security. A fund can have a very diversified slate, however the focus shouldn’t simply be on the variety of genres; rather, greater consideration must be allotted to the quality of the films produced, and the selection methodology leveraged in the green-lighting process. Unless the film fund’s management employs an intelligent selection methodology as a mitigating principal, no amount of diversification of genres affords any greater expectation for success. In determining a methodology for the selection of films, an ideal film fund begins with a vision that transcends genre. Those who are familiar with my writings and my work know my commitment to the trademarked “Conscious Filmmaker”® approach to production. A Conscious Filmmaker motion picture endeavor is one which is highly commercial and fully leverages the power of intelligent marketing and distribution to focus on creating motion pictures that deeply connect with an audience, and thus enrich the returns of those who invest in such films. (Click here for an article to learn more.) The historic data for this class of film actually correlates to an ROI that is even many times beyond the averages cited in the New York Times article referenced in the first paragraph. Film One’s performance would equal our survey average. Film Two would perform 30% below the survey benchmark average. Film Three would perform 70% below the survey benchmark average. Film Four would perform 85% below the the survey benchmark average. Film Five would perform 95% below the survey benchmark average. Film Six would perform at 99.9% below the survey benchmark average, and would actually result in a 98.5% loss against the investment . Once all the numbers are crunched and all production, marketing and distribution costs are taken into account for domestic and international territories – in both theatrical and secondary markets – our ideal film fund, even if it performs at a sub-average level against our internal survey benchmark, would still result in a 140%+ ROI at the end of seven years, providing an average return of of over 20% per year. Keep in mind that rate of return is accomplished while leveraging aggressive mitigation protocols that also deliver protection of all principal, regardless of the fund’s performance. So, when considering investment in a film fund do take this model into account. Make sure that a mechanism exists for the aggressive preservation of principal integrated with a powerful and visionary strategy for profitability. This of course is a very cursory overview. And, I’d be more than happy to answer any questions regarding this article. Note: ANY advertising placed on any of these blog pages is not controlled by the author; nor does it reflect his opinion or ethos.